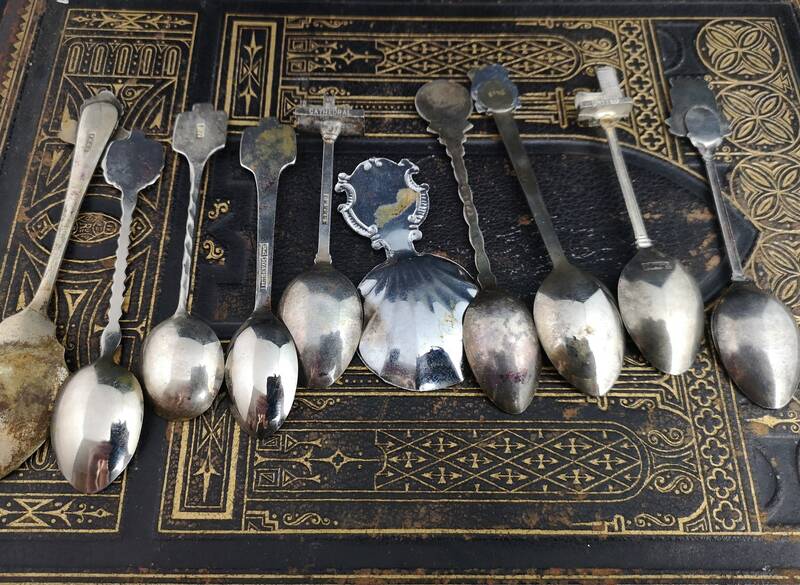 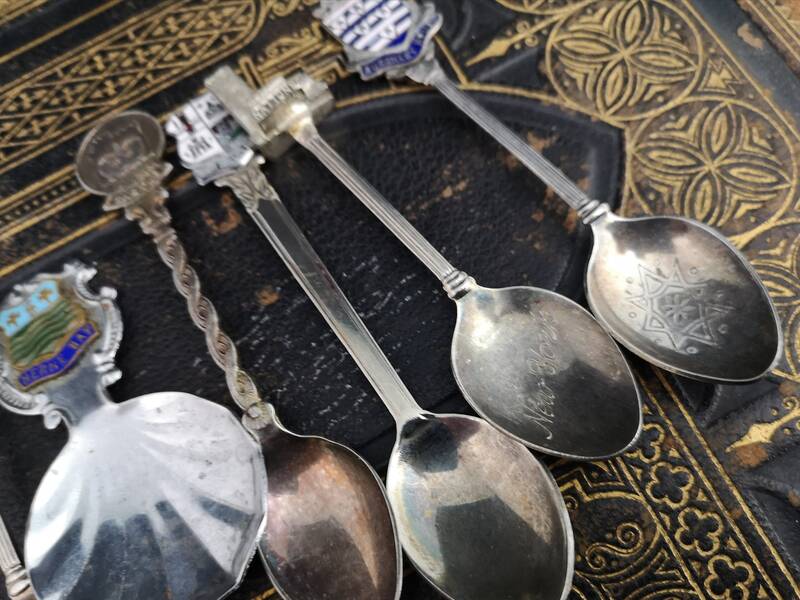 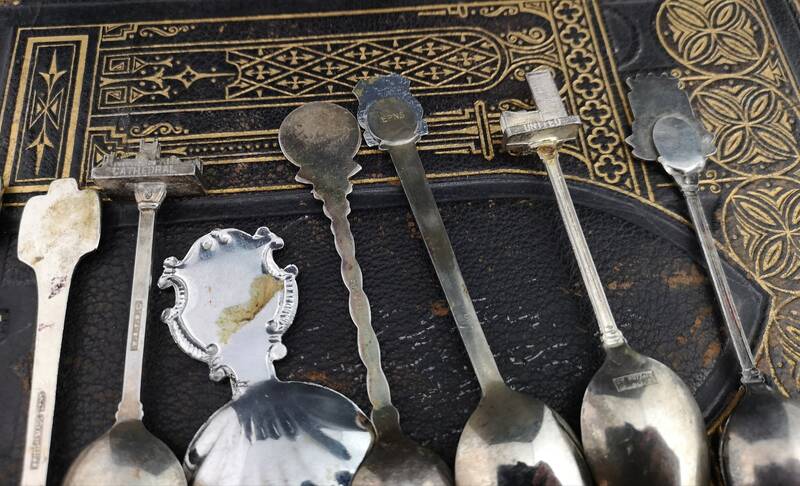 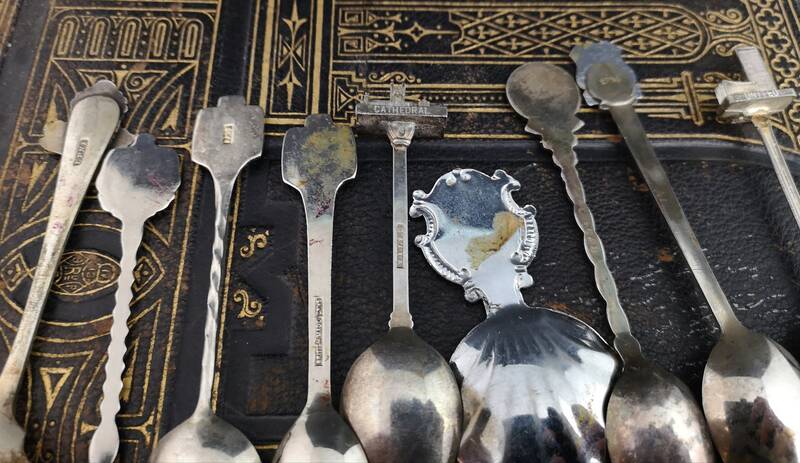 A charming collection of 10 various antique and vintage souvenir spoons including some with figural finials. 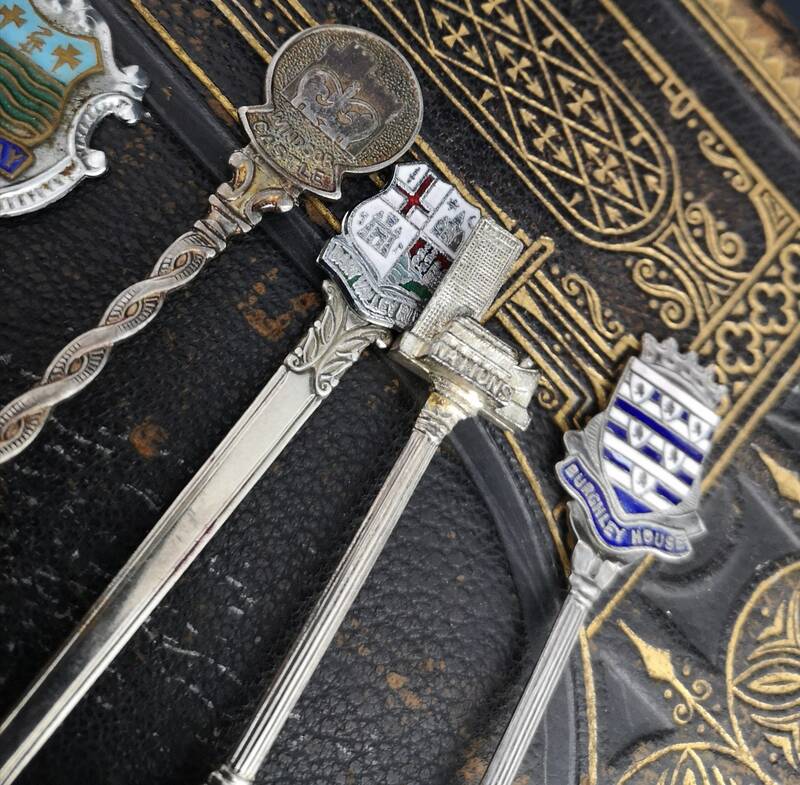 Ranging from Edwardian to the 30's there is a good assortment mostly English place names. 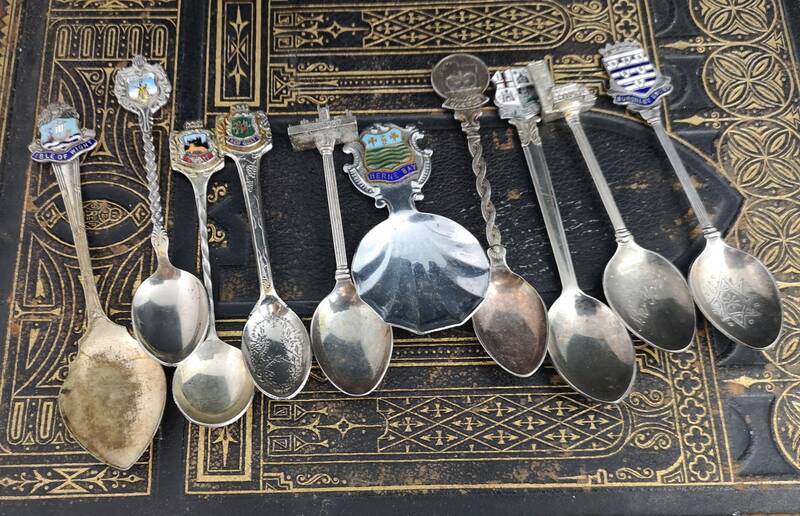 Most are marked EPNS or similar for silver plate. 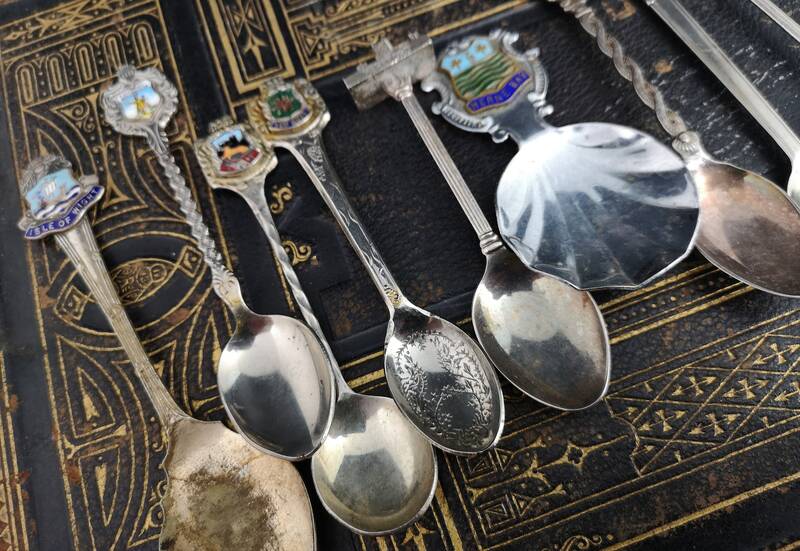 These souvenir spoons are in varying conditions some poor and some good. 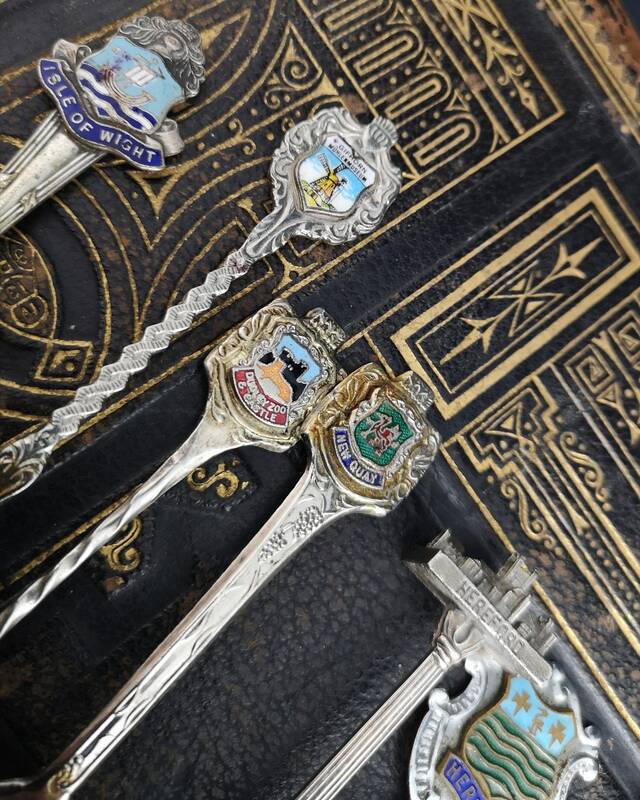 The largest is 5" length and the smallest is 2" length.